hello i have a t-mobile samsung memoir. its a 3g phone but i was told it couldnt become a modem to connect me to the intern it is blue tooth compatable and it has a usb port my question is how or can i connect it to my laptop? i called t-mobile and they wanted me to buy there mobile pc plan. but then one tech said i could tieder my phone but that they would not provide support! HELP! Cannot connect with LG Neon (shine). Am able to pair and set up DUN with *99# ... actually I can connected my Sony Ericcson, parents' desktop, sister's razr, and a my wife's LG Shine which was upgraded to the Shine Neon - which results in a error code 777 when the connection is attempted. This is the only phone I have not been able to tether to lap and/or desk top??? ANY advice / help? please respond!!! I have tried and I can't get my HTC Droid eris to work as a wireless modem for my Macbook Pro! I have the internet connection on my Cell but I can't get my Mac to connect. What do I do??? I am new to this and need HELP!!! I currently have the Sierra Wireless AirCard 875u and internet through AT&T however I do not live in a 3G area so the connection (30-40 kpbs) and download (75-135 kpbs) speeds are very slow. I am keeping my AT&T phone service but swithcing to Wildblue for internet. 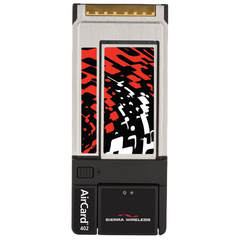 Will the Sierra Wireless Aircard work in my non-wireless Desktop as a wirless adapter once I have cancelled the AT&T internet service? I have an LG Prime through AT&T and have the $19.99 internet service but this is a no-contract phone. Can I still tether my mac with it. I have tried but didn't know the number that you enter, for example Sprint might be #777 or *99#. I think AT&T has one also but I don't know what it is. First I have say a blue tooth usb connector is less than $5 if you know where to shop. Second I've noticed only Windows or mac are mentioned. Nothing is said about PC which is anything other than those two. A PC is usually thought to be running a Windows operating system. If you are not using Windows on your PC, what are you using? AFAIK, Windows or Mac means PC or Mac. no nokia modem is installed on this pc. pls i have dell inspiron 1501 with window vista home basic. and nokia n72 with nokia pc suit installed, but any time i atempted connecting to internet it get this massage (no nokia modem is installed on this pc). Why in my hardware nd phone modem the phone appears to have been added, pls what do i do to resolve this. Razr G3 and laptop works! can i use motorola wx295 as a modem too? i have samsung chat mobile and Apple macbook laptop but i am unable to take internet connection from my mobile to laptop.please someone explain and will it requires samsung pc suit to connect internet from mobile????. i connect my nokia e63 to my pc via usb data cable and nokia pc suit. how i make a call to the contacts in my mobile and how i use the computer head set for this call...is it possible? For connecting ATT's network, *99**1*1# has been working wonders for me for years now! Moto tundra with moto usb modem drivers, use that for your dial up number, leave everything else blank...9.99 unlimited data plan on my phone and worth every penny. Black berry as a modem? I have a Black Berry curve. I pay R60/mnth for an internet. I would like to use my phone as a modem of my HP laptop. Is that possible? And how is it? Will they charge me more? What are the requirements for activating this?